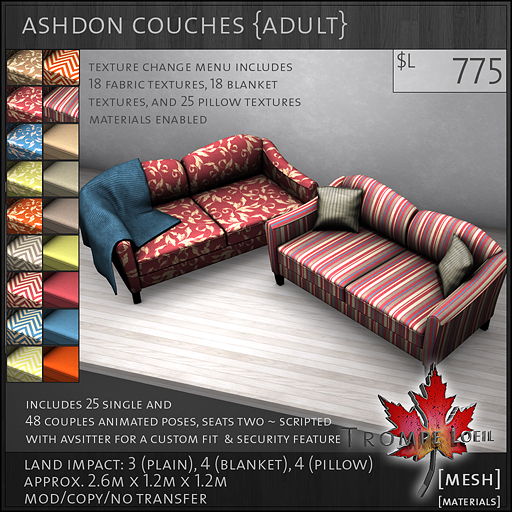 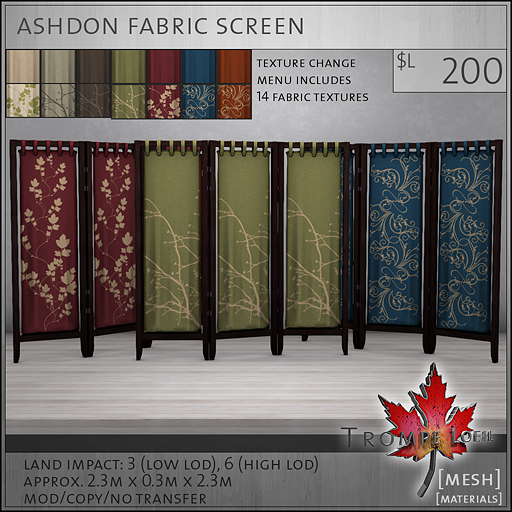 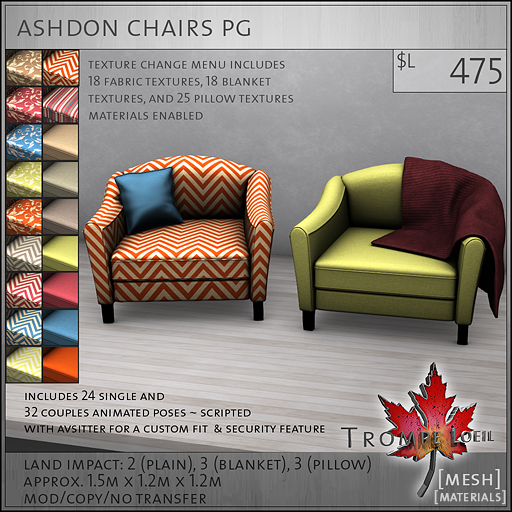 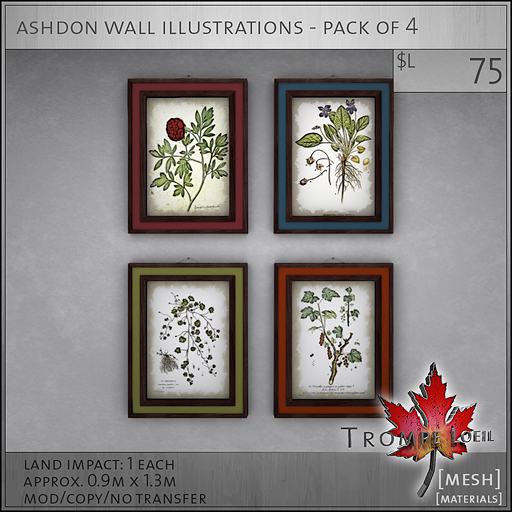 Rich, jeweltone colors are the best part of autumn decor, so grab our latest collection – The Ashdon Living Room – at FaMESHed this October and curl up in comfort! 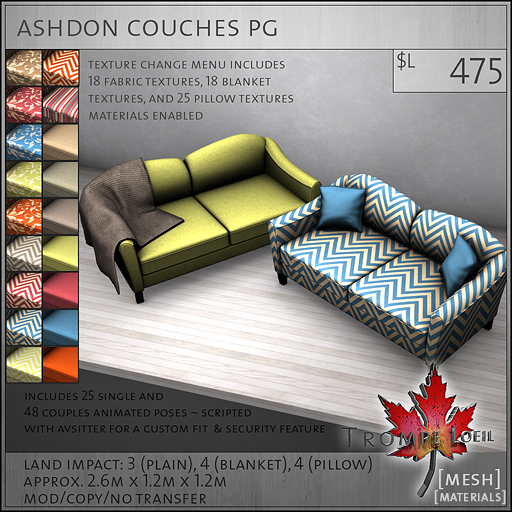 The Ashdon Couch and Chair include three models each – plain, with pillow, and with draped blanket. 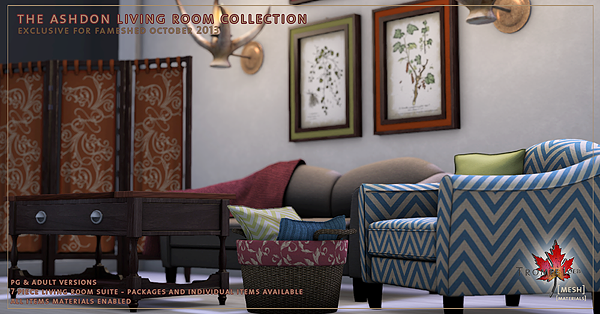 Pick from 18 bold fabric textures, plus 18 blanket textures and 25 pillow textures to endlessly mix and match! 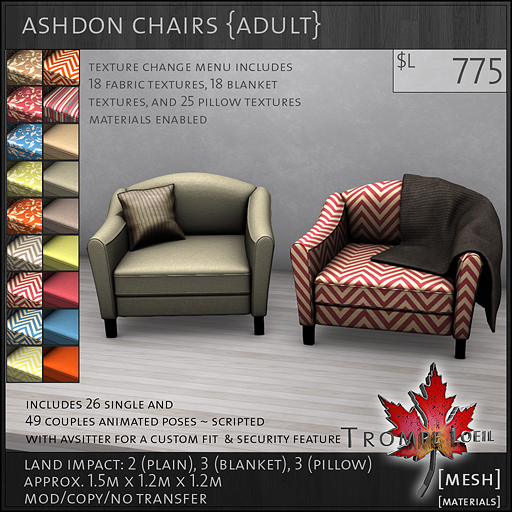 Available in PG and Adult versions with tons of fun and spicy animations for singles and couples. 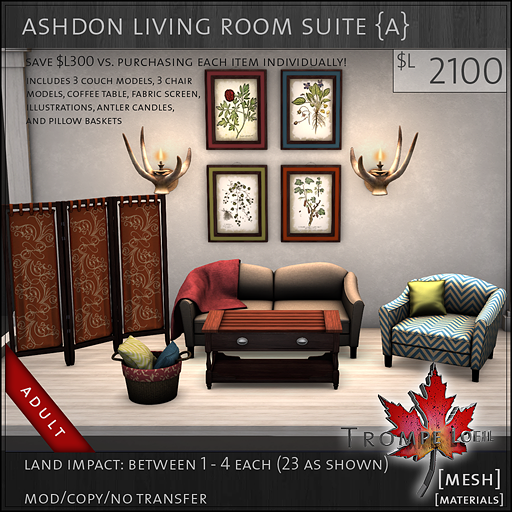 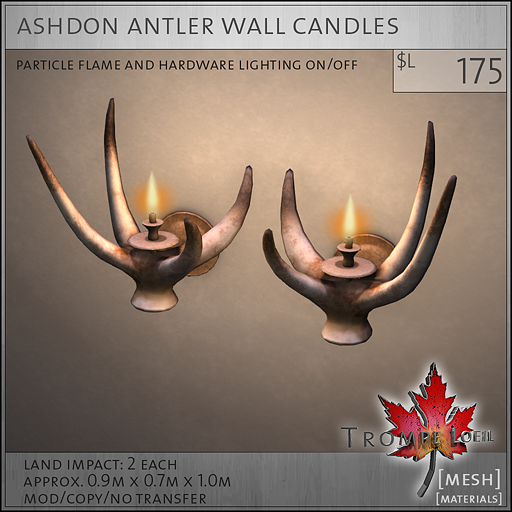 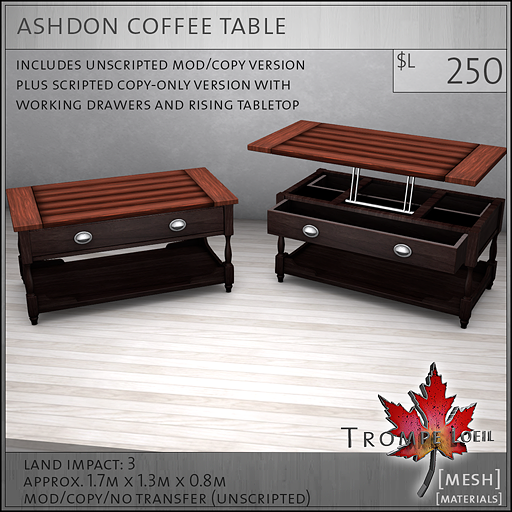 The Ashdon Living Room has tons of accessorizing pieces as well – the Fabric Screen makes an eye-catching backdrop to any space, the Antler Wall Candles give your room a warm romantic glow, the Coffee Table includes fantastic functionality – raise the hinged top and open the drawers for your photo shoot! 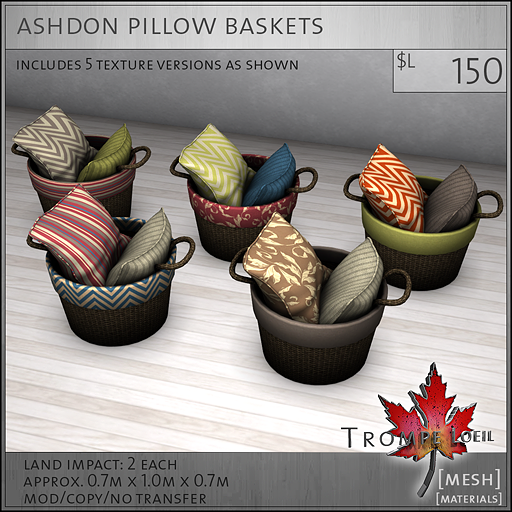 – and the Illustrations and the Pillow Basket coordinate with the rest of the set for that lived-in look. 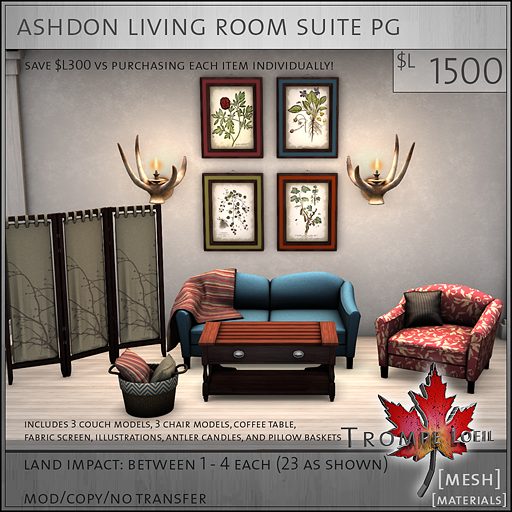 All pieces are available individually or as part of the PG and Adult Suites – save $L300 off of purchasing each item individually!